Sherwood Quilt Pattern from Man Sewing - Rob Appell - Missouri Star Quilt Co. 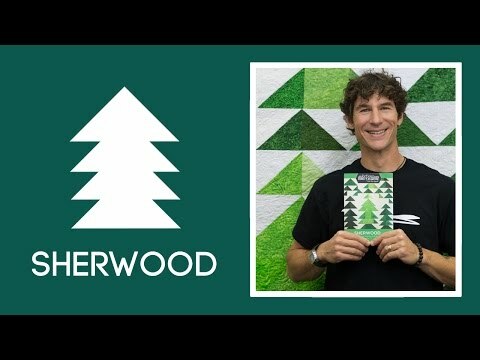 The idea for the Sherwood Forest quilt was born while taking a stroll through the trees. I wanted to make something that would have a high contrasting color range, an easy-to-piece formula, and allow for the unexpected. This pattern is based on using two different-sized half-square triangle blocks and a few filler pieces to create a forest. Use the pattern as a guide. Get as creative as you like, make your trees as large or small as you choose. Soon you will have a forest of your own! Finished Size: 62" x 71 1/4".